Traditionally, the seventh anniversary gift is wool, but it can also be copper. 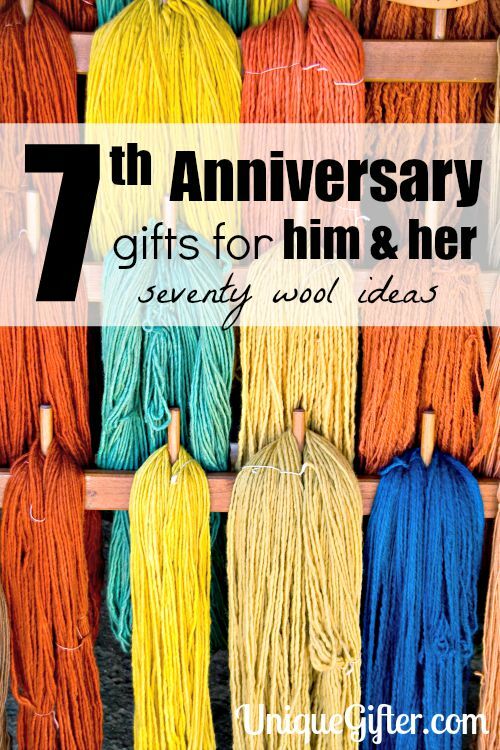 If you have been following the traditional gift giving mantra, you will have already covered paper anniversary gifts, cotton anniversary gifts, leather anniversary gifts, linen anniversary gifts, wood anniversary gifts and iron anniversary gifts, and now you’re on to wool 7th anniversary gifts. Don’t worry, we’ve covered them too! Did anyone else notice that the gift for the seven year itch is wool? Wool, that can be itchy? Maybe that’s been the problem all along, people go around giving each other itchy gifts and then want out! 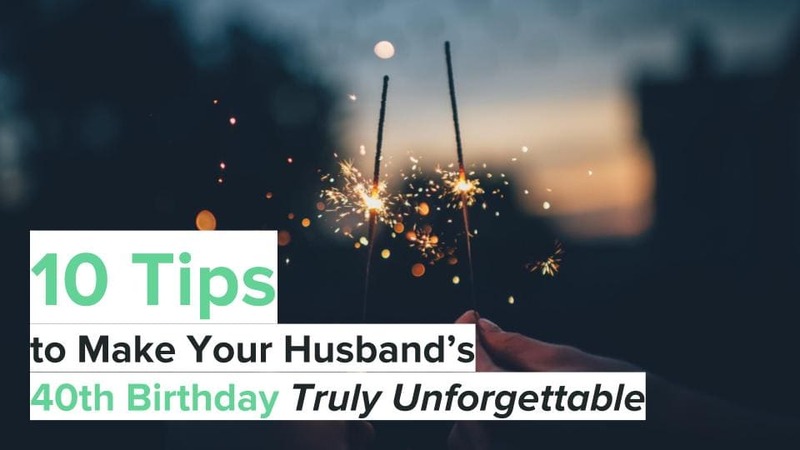 Try not to give your spouse an anniversary gift that will make them itchy. Cashmere is quite lovely, as is merino. There are a lot of animals that can make wool, if your spouse has always wanted to farm alpacas, maybe now is a good time to start? For all of the details on anniversary gifts by year, head on over to wikipedia. If it’s not quite your seventh anniversary yet, pin this for later! Did you know that you can get a rose made out of each year’s anniversary theme? You can create a bouquet that represents each year! 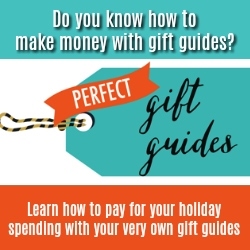 Give a woolen gift that includes a fancy word at the same time. Wool scarves come in many thicknesses and a myriad of styles, so you can find one for nearly everyone. From hiking to winter weather, there are many great choices in wool socks. Stay stylish with a men’s wool sweater. Sweaters come in a multitude of styles and at many different price points. There are actually a ton of really adorable wool hats out there, so much so that I have an upcoming post of stylish fedoras and bags that are drool worthy! 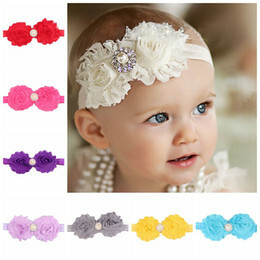 These cute ones would go wonderfully well with a trip to an exotic local. These things are downright practical. They absorb moisture, speeding up the drying of your clothes. They are a great way to save money. Wool blankets are a staple item in many households, especially those of us who have to suffer through cold winters. They are warm, durable and remind me of curling up by the fire. Plus, you could always sacrifice one in the event of a fire. I mean, who doesn’t plan for multipurpose fire fighting when they buy bedding? Wool picnic blankets are nice and thick, which makes them handy. The undulations of non-perfect grass and brush are smushed down by a nice, thick wool picnic blanket. Plus, look at those adorable checker patterns. Wool pillows are actually quite lovely. They have wicking properties, and come in a variety of firmness. Plus, no yucky chemicals. This is an easy one for all the folks out there who like to knit! Good knitting wool can be pricey, but the results are wonderful. Have I sung the praises of merino enough yet? I think I would wear it every day, if that was feasible! If you are a skiier, snowboarder, sledder, or outdoor enthusiast of any description, you will love upgrading your baselayers to merino. See above with the pants. I wear one of mine to work in the winter, I love it so much! Sign your man up for a new suit! Sign your lady up for a new suit, too! If I could wear $200 wool pants to work every day, I would. They are so nice. So, so nice. I assume the same holds for high quality men’s wool pants, but I’ve never tried any on. Just like upgrading your base layers, merino ski socks are the bomb-diggity. This one is in the “cheap and humorous” category. It can also be useful, too. Felting is a pretty popular and fun hobby, and it is surprisingly easy to do some smaller projects. Get a kit as a gift for the crafty folks in your life. Isn’t that classy and gorgeous? There are a lot of different wool trivets available. Great price point, and super practical. Wool rugs! They can completely transform the decor and vibe in a room, plus they come in at various price points for those with budgets bigger and smaller. Shawls can be rather stylish, warm and are a fun way to spice up a wardrobe. If you live in winter, wool leg warmers are amazing. 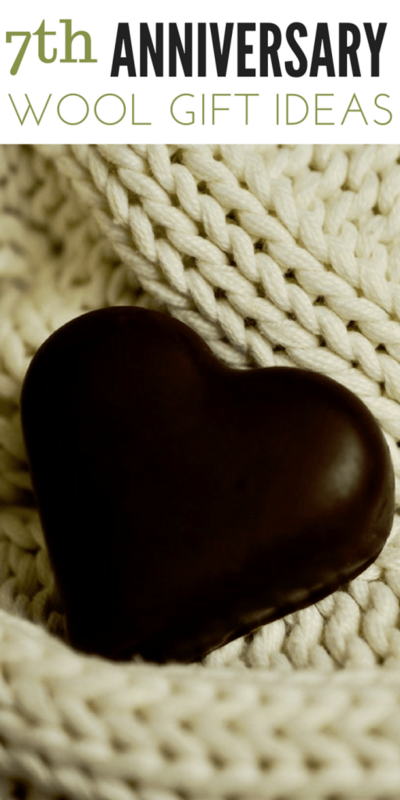 On their own, or hidden under jeans, they are wonderfully warming! Like shawls, ponchos come in a huge variety of styles and designs. No one has ever gone wrong with a cashmere sweater. * They are so soft, smooth and wonderful. *This is not a scientifically proven fact. If an entire cashmere sweater is out of your price range, a scarf may do quite nicely. Put wool to work around the house and gift your spouse a pair of warm slippers. Pendelton blankets are a longstanding tradition. They come in bright colours and may remind you of cabins and woodland adventures. Keep your hair back, stay warm and be stylish. Make one yourself, or purchase one. Keep the environment happy and your hands from burning with a wool coffee sleeve. Table runners add style to rooms and are easy to change up. Isn’t that dapper? Buy your man or lady a cute wool bowtie! Buffs come in wool, who knew? From a peacoat to an overcoat, there are lots of great wool coats available out there. Tell the feather duster to step aside and pick up a wool duster. Warning: Not everyone will appreciate such a thing! Wool is the name of a book in the Silo Series by Hugh Howey. Give it a try, it’s been on the NYT bestseller list! I found this rug and decided it was so neat that it deserved its very own spot on the list. Leggings are all the rage these days, especially in printed patterns. A pair of wool leggings will get you all the way through winter, unlike lighter summer leggings. Add an extra layer of luxury to you bed by topping it with a wool mattress pad. This is a great couples anniversary gift, because you both benefit. 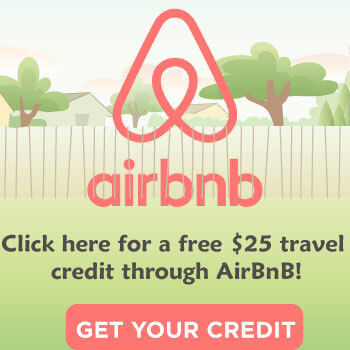 I had honestly never heard of this term before, but I am rather familiar with the product! From a stylish suit, to a happy hipster, pick up a wool vest as an anniversary gift. With all of these wool gift ideas, you should probably pick up some specialized wool wash to take care of whatever you pick. I love the colours in yoga blankets, the rich, muted jewel tones are my favourites. Wash up your car, or your you! There are a multitude of absolutely stunning messenger bags made of wool available. Instead of a leather wrapped journal, which you may have picked up as a third leather anniversary gift, this time opt for wool! This wool electronics charger organizer is perfect for someone on the road a lot, and avoids that nasty mess of wires in the bottom of your bag. Knitted wool baskets make great stylish organizers and add to home decor. For campers and travelers, a merino travel sheet is a great way to sleep nearly anywhere (hello airports and backpackers! ), and if you have allergies to cleaning products it will keep your skin happy. There are lots of lovely, stylish wool purses available, too. Many skate brands, like DC, are making wool backpacks these days. I could spend hours drooling over stunning duffel bags that incorporate wool. Hours. The hunter cap is a classic! PS: They are also very warm and practical. Do you have a Scotsman in your life, or a wanna-be Scotsman? A real kilt comes with a hefty price tag, which makes it a wonderful gift idea. Did you know that some cosmetic makeup brushes are made out of wool? They are! There are lots of fun designs on wool belts and they are a frugal anniversary gift choice. Last, but not least, let’s change things up a bit with some Alpaca. I definitely do not recommend buying an alpaca without your spouse knowing, unless of course you already have a farm and plan to take care of it, but you can purchase all sorts of lovely alpaca items. 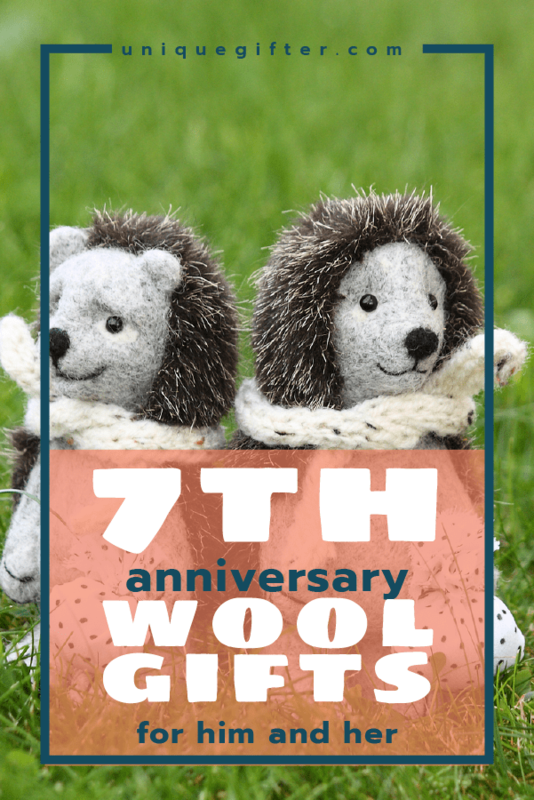 What are your recommendations for wool 7th anniversary gifts? We’d love to hear them!